You don’t need a magic age to begin to train your dog to sit. This is one of the first and often the easiest command to teach so training should begin as soon as you bring your puppy home. Even 8 week old puppies can learn this command, assuming they have been completely weaned and will accept food rewards. Some will even sit without a food reward--it just depends on the dog. If your puppy is not interested in food, find a toy to use as a reward. 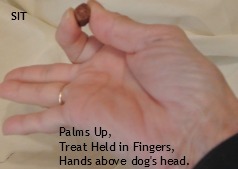 Stand or kneel in front of the dog, holding a treat between your thumb and forefinger with your palms facing up. You can use either hand, but it's easier if you treat with your dominant hand. 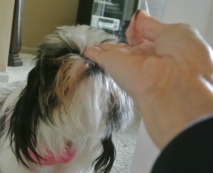 Your hands should be just slightly higher than your dog’s head. Move the treat over the dog’s head. This should make the dog’s nose point up and his rear drop down. The instant his rear touches the floor, say, “Good, sit” or “Yes, sit” and give him a treat. Say the words in a happy, excited voice. If he doesn’t respond, pull slightly upward on the leash and put slight finger pressure on his haunches. Say, “Good, sit” the second his rump touches the floor. Once your dog is consistently sitting, wait a few seconds before rewarding. Remember to only reward while your dog is in the correct position of squarely sitting on the floor. 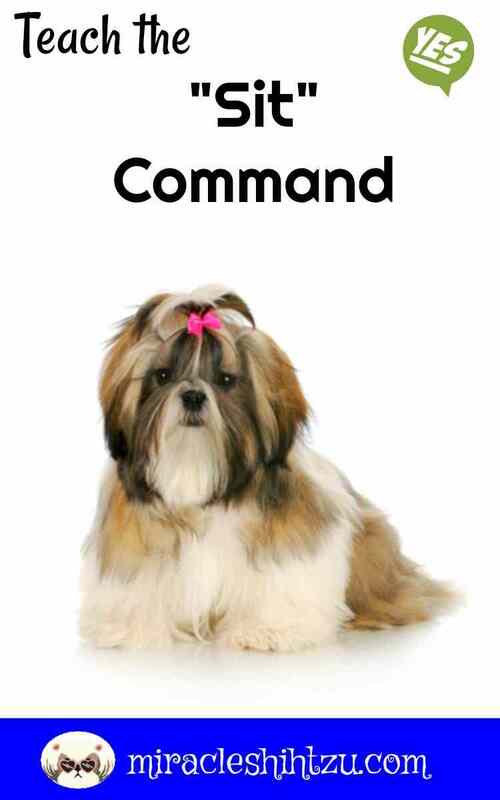 At this point, pair the word, “sit” with your hand signal and praise when they perform the command. In a gentle but firm manner, keep placing your dog back into a sit. Once he has learned the behavior, he should not break his sit until released. Hold off giving the treat until he has been in the position for a count of 3. Continue to hold the treat slightly above his head and move it very slowly over his head. You may need to do it on several different occasions until the dog figures out what you expect. Don’t give up and don’t give in. Make a point to practice for short periods (2 or 3 minutes) several times a day. Work on the "Sit" command before each meal. 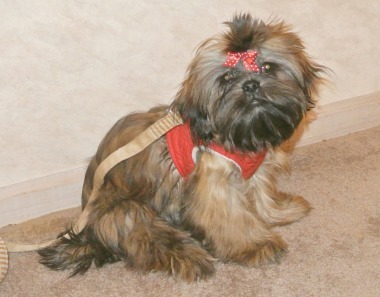 Command your dog to sit while you attach a leash. Use the command when brushing, combing, or clipping nails. Use the command throughout the day when you have a minute or two to train.